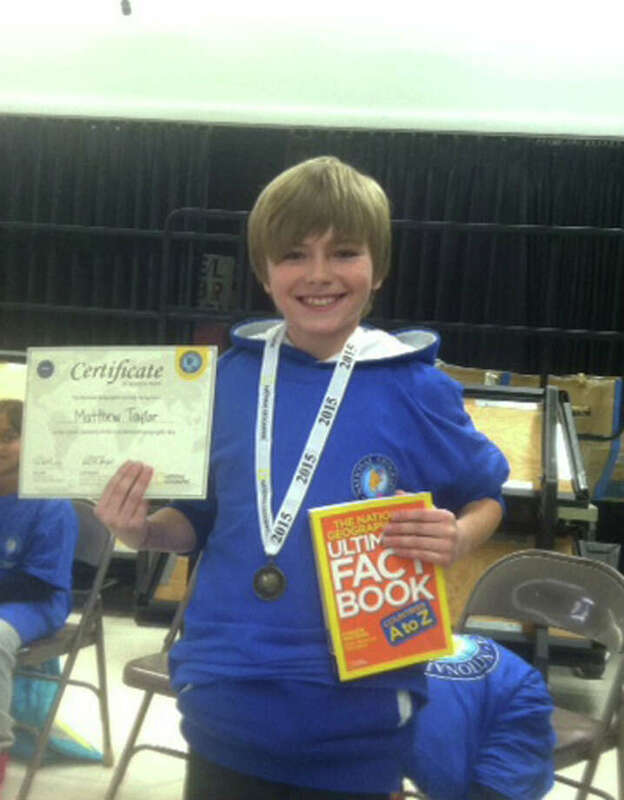 Matthew Taylor, a 5th grader, was the winner of the Ox Ridge School Geography Bee, which was held recently. Matthew Taylor, a fifth-grader, was the winner of Ox Ridge School's Geography Bee, which was held recently at the Darien school. Campbell Brode, a fourth-grader, finished second in the bee, and fifth-grader Patrick Finnegan took third place. Taylor will now take a written test to see if he will be among the roughly 100 qualifiers for the Connecticut State Geography Bee, to be held on March 27 in New Britain. The winner of the state competition moves on to the National Bee, which is scheduled for May 11-13 in Washington, D.C. The final competition is televised and moderated by Soledad O'Brien, with the winner taking home a $50,000 scholarship and other prizes. The National Geographic Bee, organized by the National Geographic Society, is a nationwide competition for students from throughout the United States and its territories. Students in grades four through eight are eligible to participate, with the stated goal of the organizers being "to motivate students to learn about the world and how it works." Fifth-grade teacher Chris O'Connor was in charge of moderating and organizing the competition for Ox Ridge. Barbara Ivey, who works at the Middlesex library, is the coordinator of the Bees for the town and also coaches some of the town's state qualifiers. Darien schools have participated for many years. Each year in Darien, a winner is chosen at Middlesex Middle School as well as each of the Darien elementary schools, including Ox Ridge. Fourth- and fifth-grade classes in the elementary schools first hold their preliminary competitions (class Bees) prior to crowning a school winner.